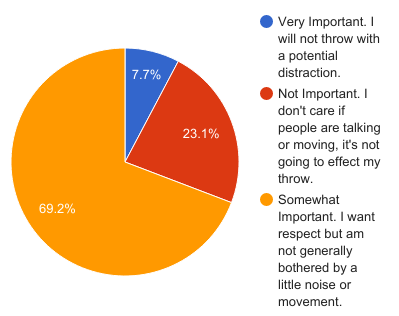 State of Disc Golf 2017 Results–Does Practice Really Work? Every disc golfer has at least pondered the question as they’ve pulled late nights in their garage or backyard with a stack of putters and a practice basket. Or they ask it as they throw their arm out at the local soccer or football fields. “Is any of this really helping me?” “Am I getting any better?” I think most folks with any experience in developing a skill or a good habit would agree with the old adage that practice makes perfect, or at least practice makes you better than you were before. Of course, our analysis of this question today is imperfect, but it is still very interesting to look at how the surveyors rated their own skill levels in conjunction with how often they practice. 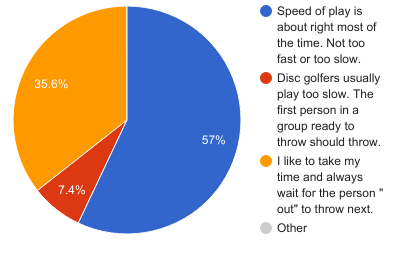 While there may be some discrepancy between how one disc golfer would rate his/her skills compared to another, I think it is a somewhat safe assumption that those who took this survey that participate in PDGA tournaments (about 3/4 of the survey played in at least one PDGA event last year) rated themselves simultaneously with what division they play in. So first of all, let’s just look at how good we think we are. 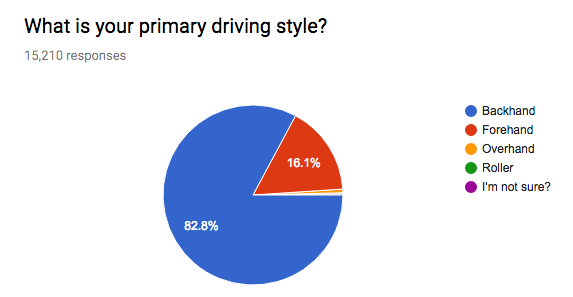 Just shy of half the folks who took the survey consider themselves intermediate, while the advanced disc golfers just barely outnumber the recreational and beginner players. 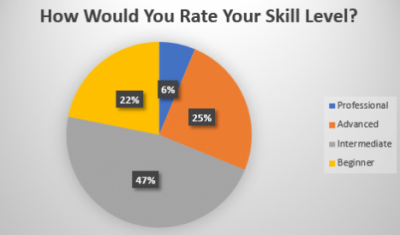 So, just shy of 75% of the disc golfers surveyed rate themselves as being below advanced in their skill level. 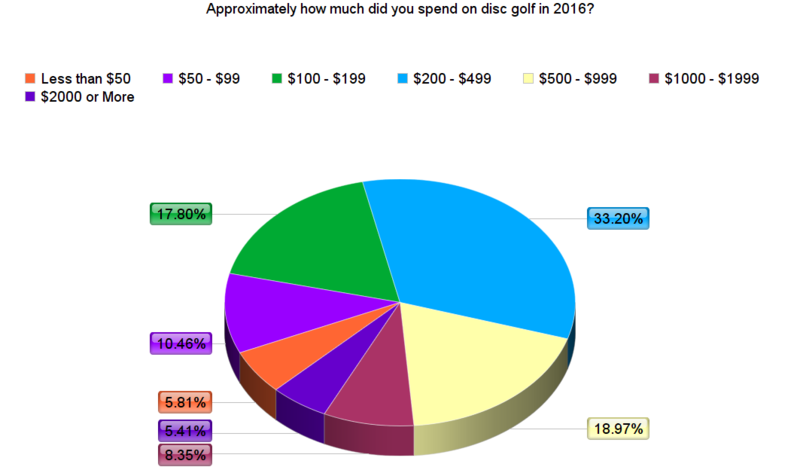 I think that this is a decent reflection of the true state of disc golf, and really most sports. There tend to be more casual participants than serious competitors (probably) because of the work, time, and practice required to compete at a top level. Now for a look at our practice trends. We asked about practice putting and field work. 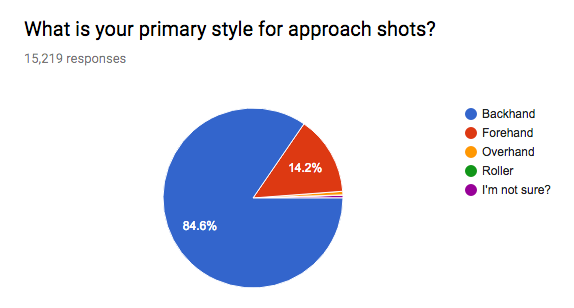 It looks like putting is the most popular form of practice, which makes sense considering it is the most convenient of the two, requiring the least amount of space. 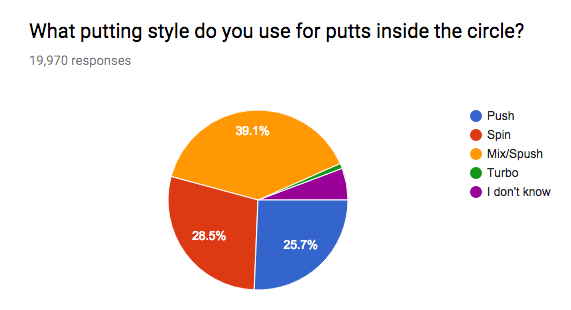 About 60% said they practice putting at least once per week, while only about half of that, approximately 30%, said they do field work practice at the same frequency. So in playing around with the data I decided to use the one week mark to divide the practice time frames up. 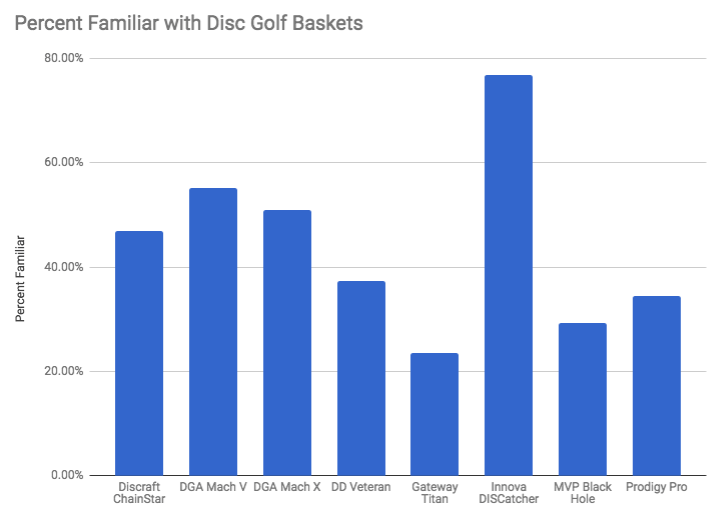 In my opinion, practicing your disc golf game off the course at least once a week is a pretty good indicator of taking your disc golf game seriously and of seeking improvement in your game. 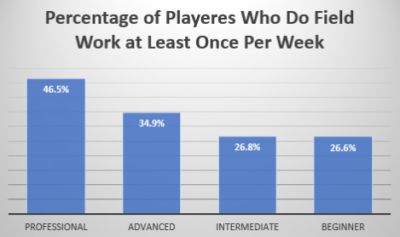 So, here is a breakdown of what percentage of players within each skill category answered that they practice putt and practice field work at least one per week. The percentages look to trend somewhat how I would have predicted them, at least in relation to each other. The higher the division, the more that golfers within that division practice at least once per week. First, lets break down the practice putting. Again, I think it is important to remember that this is the most convenient form of practicing. 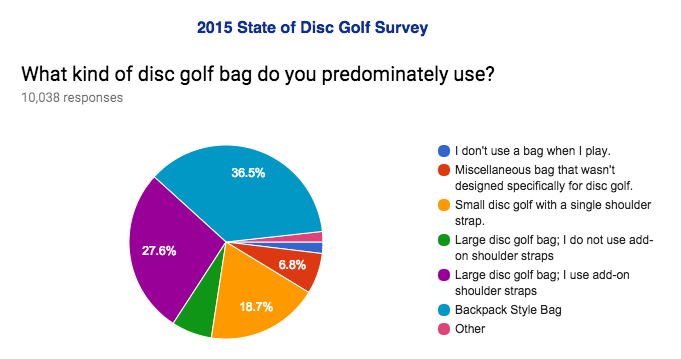 78.8% of disc golfers who consider themselves to play at the professional level practice their putting at least once per week. while each division drops at a pretty consistent 10% from there on out. With the Rec/Beginner division at 51.1%, we know that the majority of players within each division are practicing at least once per week. Of course, we do not know the intensity of each player’s practice routine, but at least they are going out and getting the practice done. Now, the field work is where things get a little interesting. 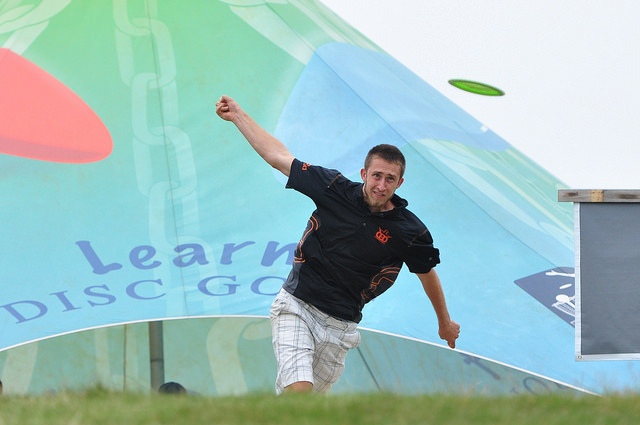 Just under half of professional level disc golfers say they do field work at least once per week. Then between the pro and advanced divisions there is a slightly larger difference (11.6%) than the difference we saw in practice putting (8.6%). 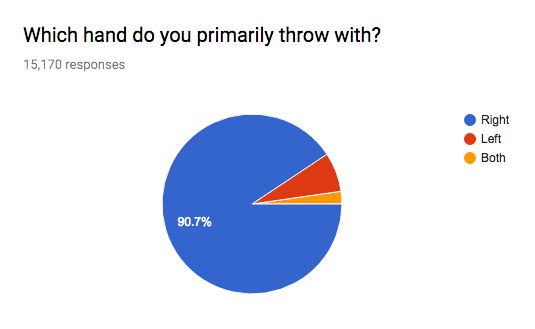 Then only about 27% of both Intermediate and Recreational/Beginner disc golfers practice field work at least once per week. So across the board we see that consistent field work is less common than consistent putting practice, but perhaps the field work is the difference maker for those who feel stuck in the advanced or intermediate skill range? More research would be needed to make a definitive claim. But I definitely find it interesting to see the slightly larger gap between skill levels when it comes to field work. But at the end of the day, this data just reinforces what we already know–if you practice, you are going to get better. Practice makes perfect. There is no substitute for hard work. Nothing worth having comes easy. Or, one of my personal favorites that I first heard from Paul McBeast McBeth, “Everybody wants to be a beast, until it’s time to do what beasts do.” So go out, work hard, and maybe give the field work a little more time than you have before. Here’s to a 2017 disc golf season where we all find improvements in our game through our practice!